PHILADELPHIA, PA. — Integral Molecular, the industry leader in the discovery of monoclonal antibodies (MAbs) against membrane proteins, and Merus N.V. (Nasdaq:MRUS), a clinical-stage immuno-oncology company developing innovative bispecific antibody therapeutics, announced that they have entered into a collaboration on multiple undisclosed targets. The collaboration leverages the power of Integral Molecular’s proprietary technologies: the MPS Antibody Discovery platform, a technology suite for discovering MAbs against structurally complex proteins; and Lipoparticles, virus-like particles displaying high concentrations of membrane proteins. 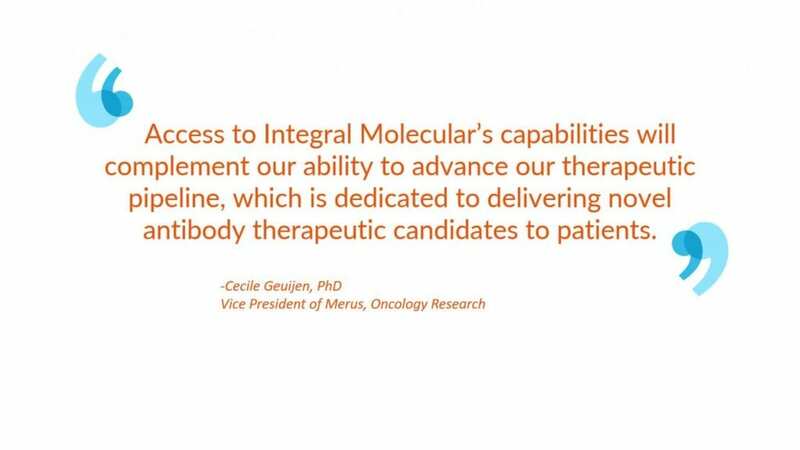 Using the MPS platform, Integral Molecular has discovered antibody assets targeting membrane proteins important in oncology (Claudin 6) and metabolic diseases (CB1, GLUT4), among others. Many of these MAbs are the first of their kind to be isolated, as complex membrane proteins have historically been extremely difficult targets for antibody discovery.